Hey Woman! 's Veronika Heilbrunner and Justin O'Shea, after Roksanda (I think), London, September 2015. 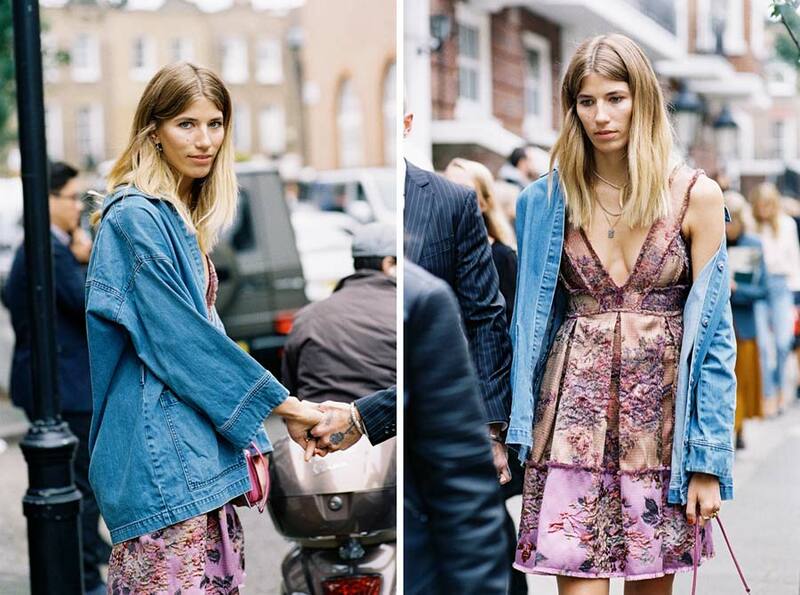 Absolutely love that gorgeous dress on Veronika....and her styling (denim shirt/jacket + desert boots) is wonderful. A lovely way to wear a fancy dress during the daylight hours. That gorgeous dress is by Erdem! 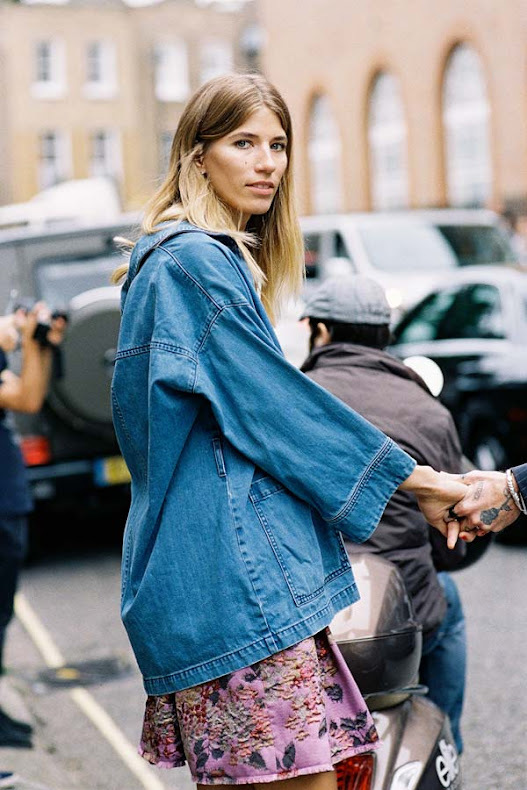 - www.matchesfashion.com/us/products/1025233?